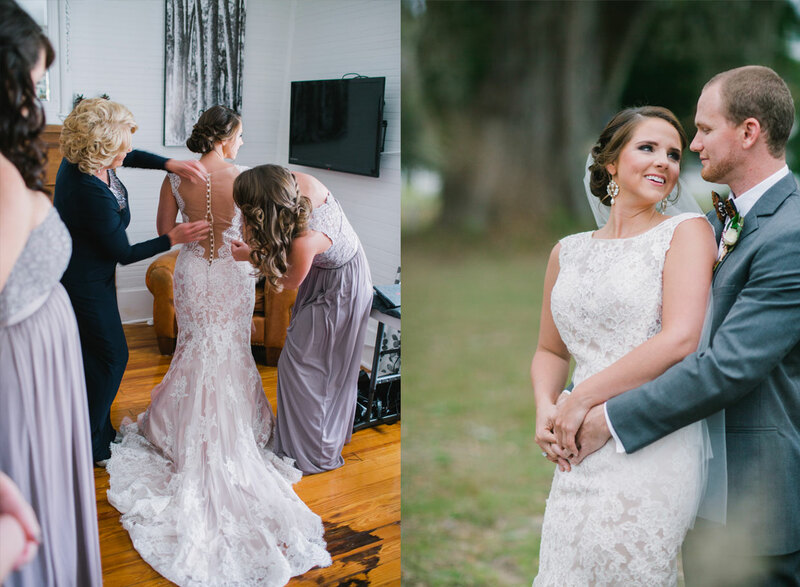 Morgan took her lovely Allure gown to Oceanside Cleaners in Jacksonville, Florida to get it cleaned and preserved. 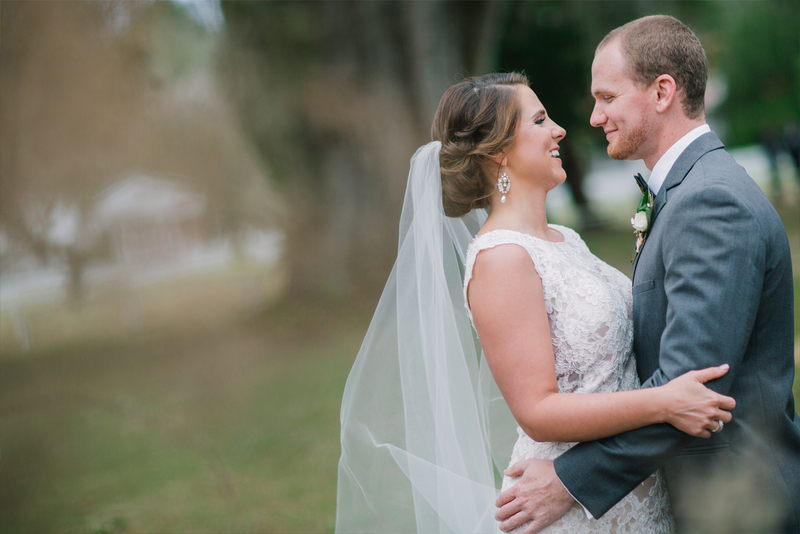 She looked absolutely stunning on her New Year’s wedding day. 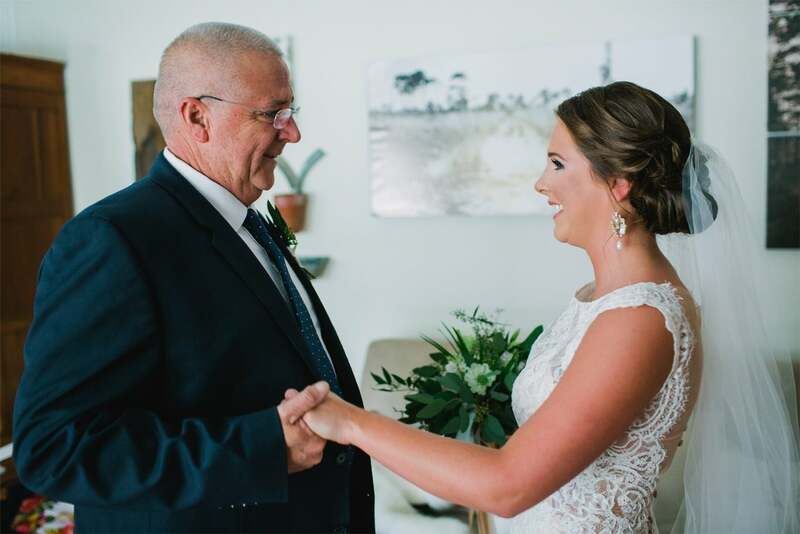 Read on for Morgan’s best memories of the ceremony and her favorite photos from it! I had a New Year’s wedding! It was on December 31st, 2016, in White Dog Plantation Havana, FL. 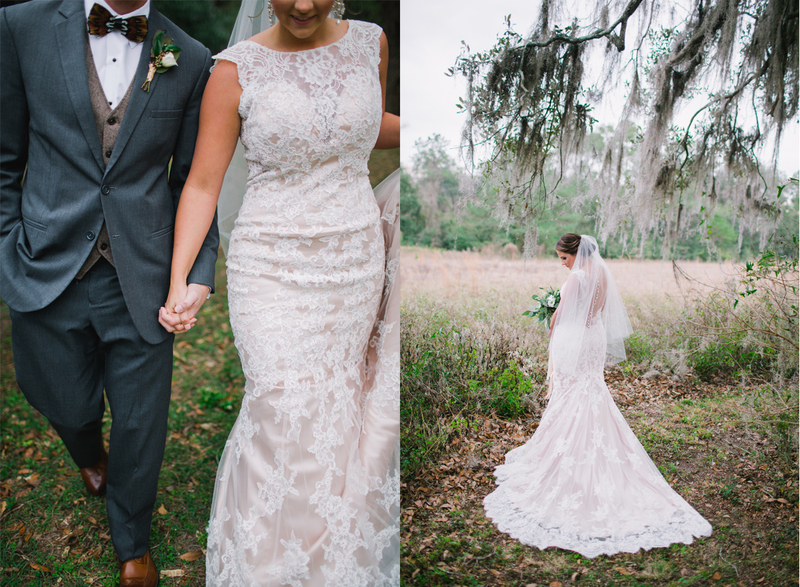 Who is the designer of your gown and where did you purchase it? 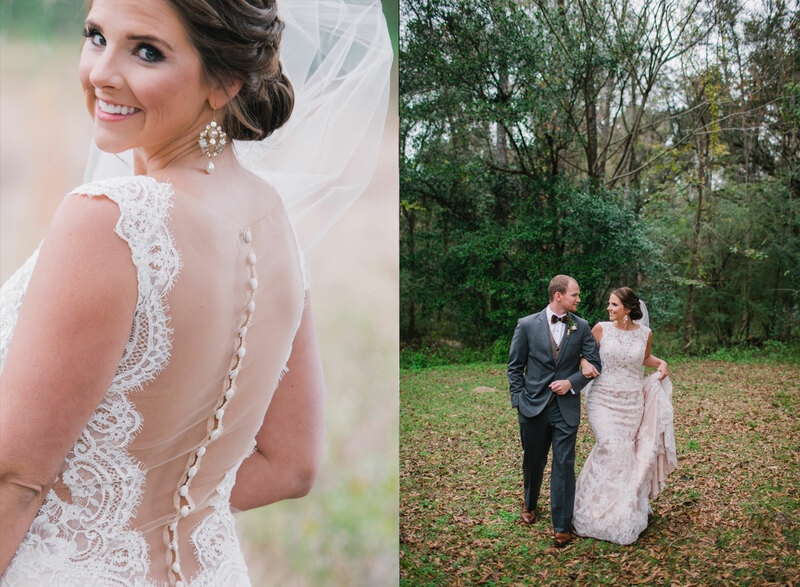 My gown is from Allure Bridals and I found it at Vocelle’s The Bridal Shoppe. The moment I put it on! I never thought with my height and shape that I would be able to wear a fitted dress (even though secretly that’s what I really wanted). When I put it on I knew it was the one and everyone else did too! I tried on about two more dresses, but was begging to try back on “the one” and when I did all the feels (and tears) started flowing! Oh wow! That’s a hard one. 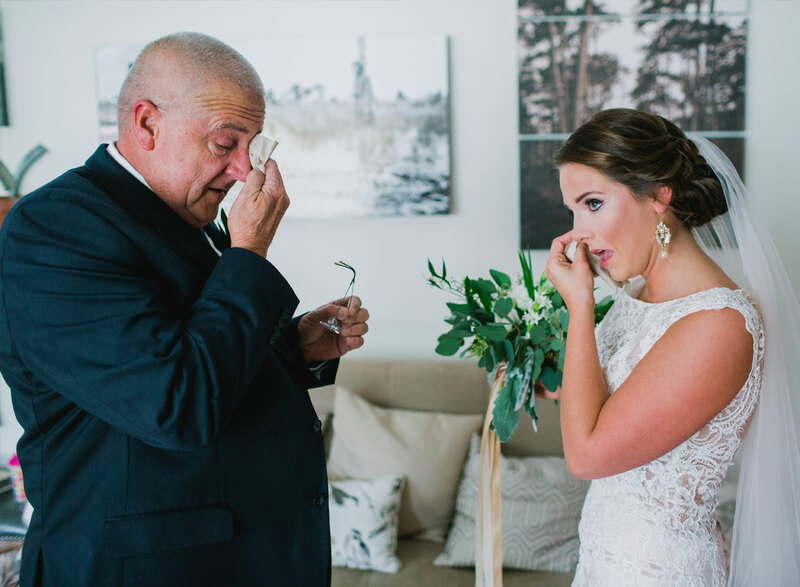 There were so many favorite memories from our day, but I would have to say out of all of them the most special one was the “first look” with my dad. He’s my best friend! I wanted to get my gown cleaned and preserved because when I have children one day I think it will be special for them to be able to see it in person and maybe even wear it on their big day! My favorite part of our ceremony was the unity. 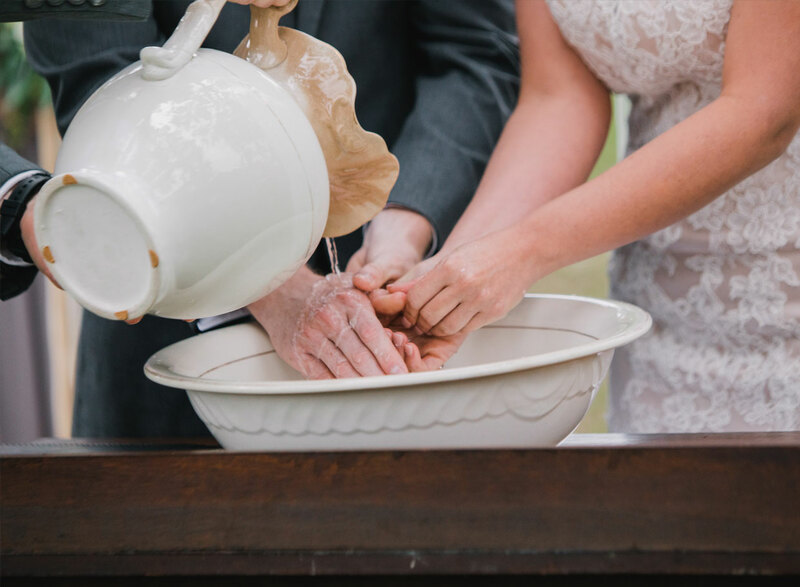 We chose to do the washing of hands where we used an old washstand that belongs to my grandmother. It is a staple piece in her living room and I remember growing up always wanting to play with it but never being allowed. 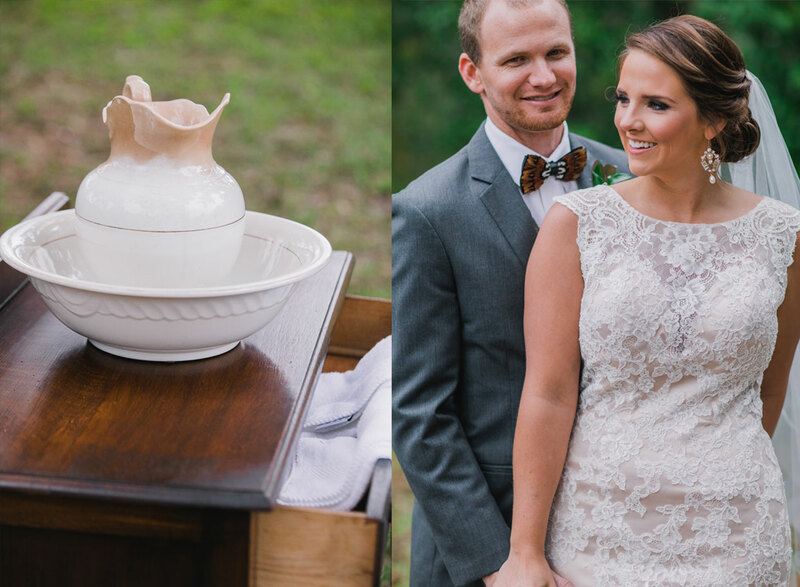 It was so special to be able to use it on our wedding day! Not to mention, Ryan’s best friend and groomsmen sang and played the guitar during the unity ceremony which made it even that much more special! I chose Oceanside Gown Specialists to clean my gown not only because Clare is a college friend of mine, but also because they do amazing work and I knew that my dress would be in the best hands possible!